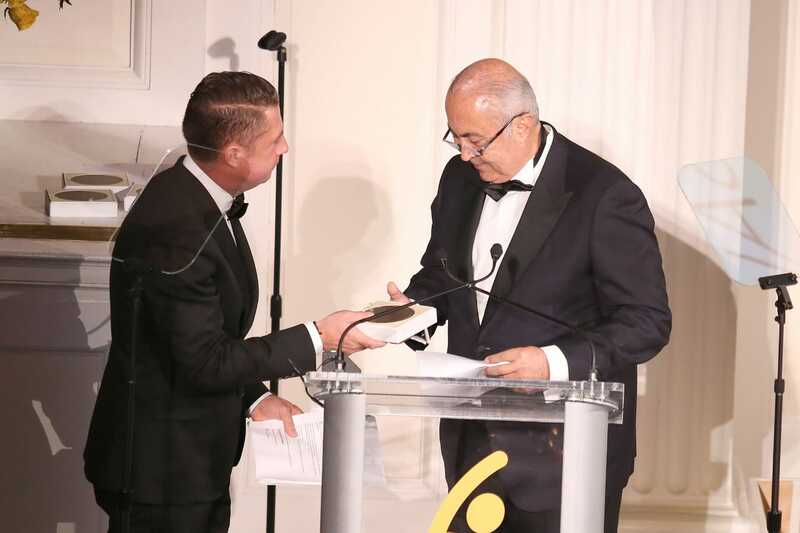 NEW YORK, October 1, 2018 – Lebanese MP Fouad Makhzoumi received the prestigious Global Hope Coalition Award, in recognition of his relentless efforts to spread tolerance and peaceful coexistence. Makhzoumi is a Lebanese businessman and politician, founder of the National Dialogue Party, and elected Member of Parliament in 2018. MP Makhzoumi is the founder of the Makhzoumi Foundation, a national nonprofit and Non-Governmental Organization (NGO), established in 1997, to empower Lebanese individuals for a better community. Since its inception, the Foundation has distributed over 2.5 million individual services and has empowered disenfranchised Lebanese women by providing them with the tools to survive on their own. Makhzoumi Foundation has also been administering services through its Relief Unit for Syrian displaced communities registered with the UN, in partnership with the UNHCR, UNICEF, UNDP, UNESCO, the EU, and USAID. “We feel it is our duty and moral obligation to help the enforced displaced Syrians, by providing them with the necessary bridges until they can return to their country,” Lebanese MP said. “The Syrian crisis is a huge burden that Lebanon cannot hold alone. Our aim is mainly to reduce the disruption of the lives of the Lebanese people who have to deal with an additional 1.5 Million Syrian displaced people for a population of 5 million in Lebanon”, he added. He said that the Lebanese politics is bound by geography, given that it shares 85% of its borders with Syria. According to the MP, the biggest challenges facing Lebanon today is that “there is little belief that the government can play its role as it is supposed to do, for there is doubt and a lack of trust in most politicians because of the corruption”, stressing out on the need for gender equality, opportunity equality, as well as the Lebanese Womens' Right to grant citizenship to their children. “We should encourage dialogue and not trade war” he concluded.